2018 Winners were announced on 19 Jul 18. Prizes of £1,000 for best overall essay and £500 for most innovative were awarded. The quality this year was good and we received a higher than expected number of entries from many countries. Thanks go to NSC for giving us with the opportunity to award prizes for the competition and all those who were members of the judgement panel (see over). 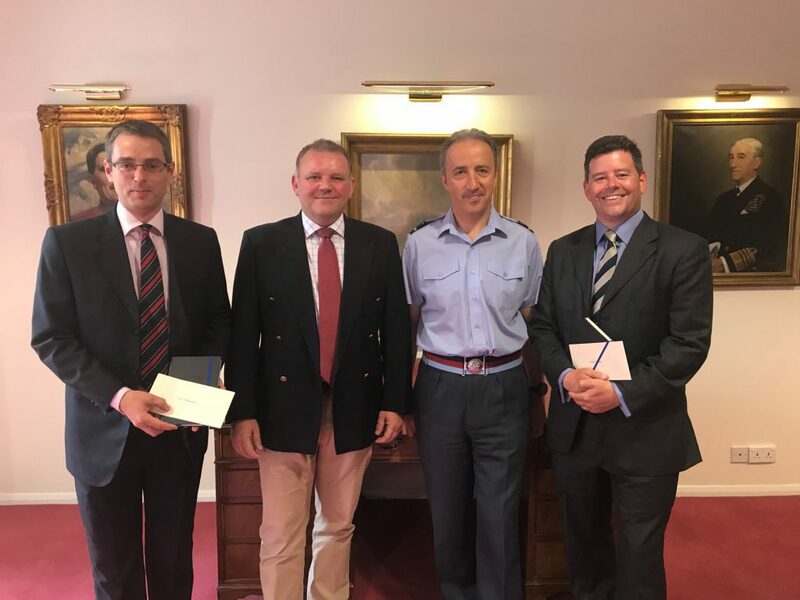 AVM Luck (Comdt JSCSC) and Carl Gorton (Dep Hd Training NSC) awarding prizes to Ant Sharman (best overall essay) and Andy Bell (most innovative) on 19 Jul 18. The Wavell Writes 19 competition has launched. You can find the context, rules and topics in detail here. Does Diversity Dilute the Warrior Ethos? We are very grateful to the team at NSC for their support and financial sponsorship of the Wavell Writes essay writing competition.